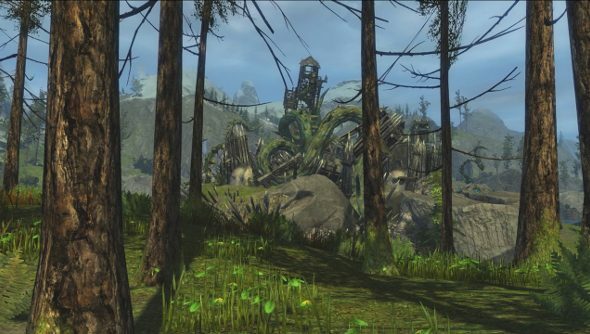 Last week saw Guild Wars 2’s Living World enter its second season with Gates of Magumma. Adventurers were called to assist Seraph forces in rooting out villainy in the Brisban Wildlands. But a living world is a world that keeps on ticking, and the second episode, Entanglement, is set to begin on July 15th. Last year we said that Guild Wars 2 was one of the best MMORPGs on PC, and this stream of new content is only making it better. Entanglement opens up the new area of Dry Top, where Tyria’s pesky adventurers can continue their story and thwart evil. Given the nature of some of the beasties, gardening shears might be more effective than swords and guns. There’s still a week to work through all the episode one content, but once Entanglement begins, the new adventure will fill up your journal, and you’ll only be able to dabble in the adventures of the past by buying the previous episode. If you’ve been questing away through the first episode, how are you finding it in comparison to season one? Has it got you hooked?